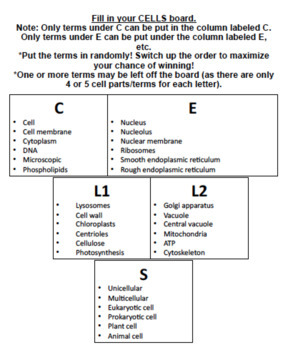 Students will play BINGO (or C-E-L1-L2-S) to review key terms describing cells and their organelles! 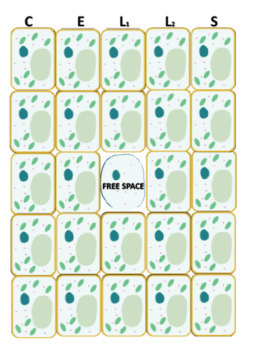 Students will be provided with a guide and a cell-themed BINGO board. Included is a Powerpoint presentation modeling how to fill in the board using the guide as well as the clues for BINGO! 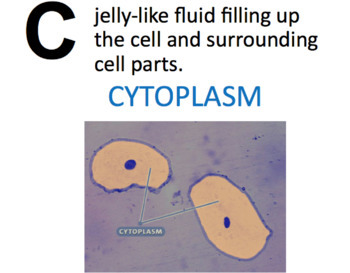 Each clue is animated so that students will see the letter (whether it is C or E, for example) and the definition/function of the organelle and can raise their hand to share which term/organelle they think it is!